Some of my Free Software may be useful for working on electronics projects. Also, see my list of Linux Cross Assemblers and related projects. 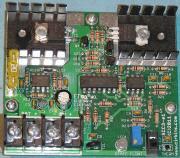 Several of the 12 Volt solar power circuits featured on this site are available from my kit enterprise, CirKits.com. You can support this site by buying the kits shown below. FC's Circuit Archive contains many electronic circuits that I have designed and documented. I have attempted to include a number of unusual circuits, with an emphasis on useful applications over simple toy circuits. The majority of these projects can be built with readily available discrete components. Only a few of the circuits here rely on microprocessors. Micros can greatly enhance the power of a small device, but the specialized development tools can put the project out of reach for many hobbyists and the development systems tend to go obsolete in a short time. Bucking that trend, the Arduino platform is an easy to learn microprocessor platform with a free software development environment that is so popular it should be around for many years. There are a number of small, inexpensive and full-featured computer platforms that can be used as controllers, these include the Raspberry Pi, the BeagleBone and the ODROID. Most of the circuits on this site have been drawn with the open-source and cross-platform XCircuit circuit drawing program. I'm a big fan of the Linux operating system. If you have a spare PC lying around, I recommend exploring a number of different Linux distributions. Linux Mint with the Mate desktop performs well on older hardware. Mint is a derivative of Ubuntu. Fedora is another popular distribution, there are many distros to choose from. A large selection of free electronic, audio, video and ham radio applications are available under the various Linux distributions. The Android cell phone platform is quickly becoming the most wide-spread Linux-based system. Linux makes a great platform for dedicated systems: take an older computer, install Linux and the appropriate free software utilities and turn it into a specialized device. Possibilities include web servers, firewalls (smoothwall), security systems, multi-track audio recorders (Ardour, Audacity), weather stations, music jukeboxes, video recorders, electric train controllers (JMRI), home automation (Hass.io), ham radio modems (fldigi), and much more. Visit LWN.net for the latest Linux news. Search This Site for keywords. Lessons in Electric Circuits an online book. 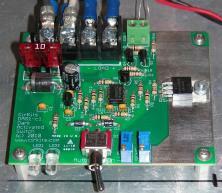 The General Radio Experimenter provided by IET Labs, Inc.
Make Magazine for builders of all types of gadgets. W8JI Baluns, myths and more.